A person is nothing but a sum total of all decisions he makes in his life. You always have to choose and decide which way to go. Decision making starts from kindergarten days when a child decides whether he should eat a chocolate or not, purchase one toy over the other toy. We human beings are adapted to decision making but the best part is that when we make small decisions it does not matters whether it is right or wrong. 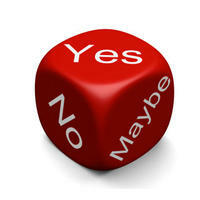 It is only when we make big decisions that we understand “How Right or How Wrong We Were”. So what to do.